Lili of the Valley are organising a Colouring Masterclass on 21st May at the beautiful Ashford International 5 Star Hotel in Kent. Jacqui and I will be teaching how to colour with Copics and Promakers with Prismacolor pencils. You will also be able to buy Lili of the Valley Stamps and products on the day. Happy Monday, and happy it is because I have the day off work although I will be hard at work in my craft room all day getting a last minute commission finished off. It's Wild Orchid Challenge day today and we have a fab challenge too – Anything Goes. How easy is that!! And the prize is just delish too – flowers, rhinestones and lace. For my card today I followed the fab sketch on Papertake Weekly so am entering this card there. Thanks Dawny, it’s a brill sketch babe. I blinged the flowers with Glimmer Mist then added stickles to the edges to bling them even more. You need your shades for this bling lol. The sentiment is done on a Sizzix charms die – too cute. The distressed heart behind the flowers was just freehanded from chipboard then coated with distress crack paint then attacked with even more stickles. The flowers used are Classic Tea Rose, cherry blossoms, 20mm roses, 15mm roses, 4mm rose buds. The seam binding was distressed with distress ink and scrunched then left to dry. The totally gorgeous papers are new in stock at Dies to Die For – K & Co Julianne. The pad is a stonking 96 pages and OMG each sheet is better than the next. As soon as it arrived I had to order a second pad – gotta have one to calm me down when I cut into the other one rofl. This is going to become my all time favourite pad I think. Love love love it. And it comes it two colour ways and guess who had to have 2 pads of each rofl. In fact I had to have almost one of each of all the new K & Co goodies in stock. I just can’t help myself – I am a lost cause!!! A better look at that gorge classic sweet rose, so pretty. The swirl die cut is a Magnolia Doo Hickey swirl – this has to be my most used die. Love it! Right I have waffled on long enough – back to the grindstone for me. Have a fabulous week! Oh and this card is in my eBay shop. OMW I clean forgot to announce the winner of the Tilda with umbrella stamp!! Congratulations Frea, please please email me to claim your prize. I totally loved this week’s sketch by Claudia at Friday Sketchers especially as I got out the old pink papers again. What is it with me and pink?? I don’t even like pink – nothing in my home is pink and it’s a colour I just don’t wear. Weird – but then that’s me lol. I have just seen this card fits Sketchy Colours challenge which is pink and beige, and also Lovely Hanglar only which is stitches - they must have read my mind lol. I am so loving being able to get hAnglars on eBay now, okay it’s stressful when you keep on missing them but oooh the buzz when you win a set …. a real yeehaw moment rofl. I even managed to get the Attitude set last week, in fact I was the first person to buy the set – how’s that for being on the ball, usually I am like the cows tail, always behind lol. Anyway, enough waffling, on to the card now. The papers are Tim Holtz that I got in a DT pack from Dies to Die For. I can’t believe I have not bought one of these pads yet, def on the top of my list now they are so yummy! Check out that Trellis Rose, itsn’t it just gorgeous and has been blinged to within an inch of its life with marshmallow glimmer mist. The other flowers are 25mm tea rose. 15mm roses, cherry blossoms and hip rosebuds. The seam binding is also from WOC. The large circle die is a Marianne D die and the charm is from eBay. That’s it from me today, Bea, Jeanette, Claudia, Tanja, Jacque, Janneke , Jorunn and Rach (our fab new DT member) have made some brilliant cards from the sketch so if you get a chance do pop across to their blogs to take a peek. 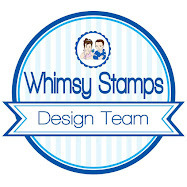 We are being sponsored by Tickled Pink Stamps, a new sponsor for us. This week the lovely people from Simon Says Stamp have given me a Tilda with Umbrella stamp to give away. If you would like to be in with a chance of winning all you need to do to enter the draw is leave a link to your blog (or your email address if you don't have a blog). The winner will be announced on Sunday evening. Ooops I almost forgot to draw a winner for the Lili of the Valley Fairy candy. And the lucky lady is ………..
Congratulations sweetie, please email me to claim your prize. I have some candy to give away kindly provided by one of my followers Bluebell Flowerwood. I will get it photographed and posted for early next week. Friday again, these weeks are just whizzing by so fast! So today’s challenge on Just Magnolia and hAnglar & sTanglar challenge we have a wonderful sketch for you by Mina. I had such fun using this sketch. We have two prizes up for grabs this week too – The Ribbon Girl and Crafty Sentiments so two chances to win some yummy stash! The flowers and seam binding are from Wild Orchid Crafts. The flowers used are 25mm wild rose, hip rosebuds and gypsophila. The pearls are also from WOC. This card is available in my eBay shop. Have a great weekend ….. I have my weekend all planned out – cards cards and more cards for commissions lol. Here’s the rest of my sneak peek that I promised yesterday, how CUTE are these bunnies!! The image is called Bunches of Love and is just the ticket for Mothers Day. They go on sale with the rest of the animal images on 9th March. There is a new style in the mix, totally adorable little mice so keep an eye on the Lili of the Valley’s Ideas to Inspire blog as the DT will be posting sneak peeks on there too. The Lili of the Valley Challenge DT are all using the new images on this week’s challenge so lots for you to ogle lol. I have used Papermania papers that I got last year, wasn’t fussed on the patterns at first so it went in the waste of flipping money pile but actually I do like them now – I am soooo contrary! That gorgeous embroidered organza lace is something I picked up on Ebay, it’s so delicate and pretty and works so well with the seam binding. The flowers are all from Wild Orchid Crafts - 25mm tea rose, 4mm rose buds, hip rosebuds and gypsophila. The Mum is a Tim Holtz alphabet die (Sizzlets) that I have edges with Stardust Stickles for a bit of bling. I coloured the image with Copics, and what a doddle it is to colour too! If you haven’t entered the Lili of the Valley candy I have running at the mo the link is right above this post, and closes tomorrow night. I have a Penny Johnson for Stampavie card to share today (the last of the samples I did for the CHA). I think this little Kitty is just so cute, loving all the detail in the image too. I would love to have a front door surrounded by flowers like this one, so pretty. The image is called Kitty Post. The papers are those old Karen Neuberg that I love so much and can’t get any more sob. The ribbon is from The Ribbon Girl, the 10mm roses, 15mm roses and 25mm wild rose is from Wild Orchid Crafts. The border punch is Martha Stewart PATP Cherish. Love the elegance of this set. The Lili of the Valley DT are starting to show sneak peeks of the new release that is out next month. I am not so organised and only have a card done for tomorrow so I am showing you a little peek of the image I have used on that card. How cute is this mammy and baby bunny. And a breeze to colour too – me loves simple! Back tomorrow with the full card. Here’s another oldie, made last year for Simply Cards and Papercraft magazine. I really do love these Wild Rose papers and think they were just the perfect pack for these Tea and Chat images from Lili of the Valley. Not much I can say about the card lol, the 15mm roses and cherry blossoms are from Wild Orchid Crafts as is the organza ribbon. That CUTE little teapot charm is from Ebay. The circular sentiment is also from Lili of the Valley. And breaking news ………………. keep an eye on the LOTV DT’s blogs, there is a new release getting it’s sneak peeks airing this week!!!!! I didn’t get round to posting any candy for my birthday (not even had time to get any shopping done to give some away) but I do have some yummilicious Lili of the Valley Fairies stamps to give away. Please enter using the Inlinkz below and I will draw a winner on Friday night. Whoop whoop I managed to get me a kit lol. I missed the first two listings and was gutted big time (okay so there was even tears of frustration lol) but when the third lot was listed I managed to get me one, so I walked around with a grin from ear to ear for the rest of the week (as you do). I absolutely love this kit, I think it’s one of the best yet and this little cutie is my favourite. Aren't those shoes just too stinkin’ cute! The flowers are from Wild Orchid Crafts - 25mm tea rose, 8mm semi open roses and gypsophila. The seam binding and pearls are also from WOC and the button is from eBay. The lace border die is a Spellbinders Grand Lace die, I’ve teamed it with Magnolia Doo Hickey swirl and doily flower dies. The sentiment is also from the stamp kit. That’s it from me today, I’m heading off to work now yuk! Have a fab week. Today’s card is listed in my eBay shop. I am fast running out of cards to post but can play catch-up now I have finished two of my magazine commissions. So here’s another card made a few months ago, for Stampavie to take with them to the CHA. It’s one of Gillian Roberts new images, called Under my Umbrella. All the new Stampavie releases are now in stock at Dies to Die For. The paper is Heidi Grace Wild Daisy Rd, I love this paper, so pretty! The image was coloured with Promarkers. I used one of the My Favourite Things Die-namics doily dies behind the image. The lace, seam binding and flowers are from Wild Orchid Crafts, the sentiment is a Fiskars set (I think). This week the lovely people from Simon Says Stamp have given me a Tilda with Bundle stamp to give away. Shading around Tilda: C1, C0, C00, BG10, E00, E000 – These I just dotted around then blended the whole lot with E0000 when I was done. Got this idea from Suzanne Dean – she is one clever lady! The flowers are from Wild Orchid Crafts 25mm tea rose, 15mm roses, poppies and that gorgeous guipure lace is new in stock. I just ran BG75 Copic over it to match up with the rest of the colour scheme. So there’s my “love you” themed card, and not a valentine message in sight lol. That’s it from me today, Bea, Jeanette, Claudia, Tanja, Jacque, Janneke and Jorunn have made some brilliant cards from the sketch so if you get a chance do pop across to their blogs to take a peek. Have a fab weekend, I will be back later with the winner of the Lili of the Valley candy. This card is in my Ebay shop . Our challenge this week at Lili of the Valley Challenge is Favourite Colour Combo. Oh dear! I have so many but I do think pink and yellow is my very favourite (don’t quote me in a few days time when I have changed my mind lol). It’s another of those cards made months and months ago for a magazine commission. The image and sentiment are both from Lili of the valley, the papers are Wild Rose Studio and the flowers are cherry blossoms and 15mm roses from Wild Orchid Crafts along with the 25mm organza ribbon. Here’s another new Stampavie image – Little Belinda by Penny Johnson. All the new Stampavie stamps are now up on the Dies to Die For website so go fill ya boots girlies. I have used the gorgeous Nitwit Collections Tippy Toes for this card – my favourite colour combo and the kit is full of pinks and greens, love it! The heart sentiment – I printed out one of the hearts from the kit then stamped a Simon Says Stamp sentiment on it. The flowers are from Wild Orchid Crafts – hip rosebuds, poppies, 15mm roses and 25mm wild rose. And now for the candy – it’s an A5 Oh so Girlie stamp sheet from Lili of the Valley with my all time favourite image on – Tip Toe Fairy. If you would like a shot at winning please just pop your name in the linky thing below and I will draw a winner on Friday evening. 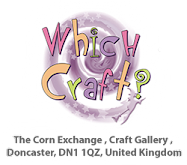 Wild Orchid Crafts stock update!!!! The Filigree corners, new guipure Lace and Blooms (that I used on this card ) are now on the website, I think the corners will fly so don't dally lol. It’s Wild Orchid Challenge day today and this time round we have a sketch to follow. Paul and Siri have put up a delish prize too, lots of roses and some of the new (yet to go on the website) guipure lace. The DT have made some stunning cards so pop across to the blog to check them out. I have used one of my Sweet Pea stamps that I got from 3D Jean, this one is call Red Hearts. Isn’t she just gorgeous! The papers are Onirie also from 3D Jean. Love these colours. Check out those flowers!! Wild Orchid Crafts has a little feature on their website where they link to crafters videos using their products and I stumbled across this one made from the blooms from Wild Orchid Crafts. Well they are as easy to make as they look and so effective, it’s amazing what you can do with 4 blooms and a hot glue gun!!! I have got a whole hot house full of them now rofl. Apologies for the blurry pic, I forgot to put the macro on durrr. Another shot of the flowers, love them! Why she looks so orange in this pic I have no idea! The pics were all taken together, same light, same position. Cameras!! !